For over fifty years, it has been the accepted knowledge that the history of the diving watch is intimately coupled to the history of recreational diving. 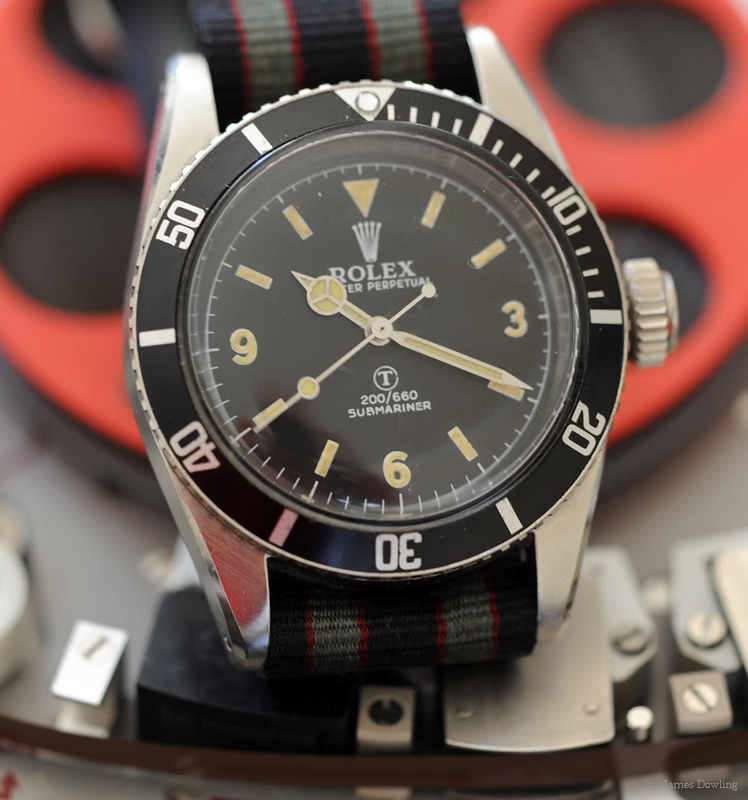 Both Rolex & Blancpain (who equally claim to have invented the diver’s watch) use the introduction of the SCUBA (Self Contained Underwater Breathing Apparatus) as the driving force behind the demand for divers’ watches; I hope to show that this commonly held theory is untrue. The prime impetus for the development of the diver’s watch was (and has continued to be) the needs of combat swimmers in the armed forces of the developed world’s nations. In this article, I will take watches from every decade from the 1930s up until the 1980s and show how the needs of combat swimmers forced the development of watches we now consider iconic. It is now universally accepted that the first ever pure diving watch were the Panerais used by the Italians in the early days of the war. What is not so well known is that they were essentially Rolex model 3646 with a special dial made by Panerai. These were used by members of the elite Decima Flottiglia MAS (usually shortened to ‘X Flotmas’); who rode the Italians’ secret weapon, the SLC (siluri a lenta corsa or “slow-running torpedoes”); although the men who had to use them commonly called them ‘Maiali’ (pigs or swine). The British, who were the main targets of these weapons, called them ‘Human Torpedoes’ after capturing several of them. The history of these early Panerai watches is shrouded in myth, legend and downright falsehood; although this might not be the place, I will try & clear up some of this before continuing. The 3646 did not spring unbidden from the minds of either Panerai, the Italian Navy or Rolex, its origins are in a watch I know of only from a 1936 catalogue; the Rolex reference 2533. This was an oversized Oyster, using a regular pocket watch movement (note the continuous seconds dial at ‘9’), most likely from Cortebert, it had a silvered dial with large Arabic luminous numerals. This in turn is a direct descendent of one of the most unusual variants of the Rolex Oyster ever made, the Oyster Pocket Watch. Made only for a few years in the late 1920s the Oyster Pocket watch was an oversized Oyster Cushion with screwed front, back & winder, just like the wristwatch & obviously was a commercial failure as very few people ever swim whilst fully dressed and wearing a waistcoat. But the line of progression from the cushion Oyster wristwatch to the Oyster Pocket watch to the 2533 and thence to the 3646 is obvious to anyone who cares to look at the images. When Churchill first heard of the Italian’s use of human torpedoes against Royal Navy vessels he wrote on of his famed ‘ACTION THIS DAY’ memos, insisting that the British produce a similar device. The Royal Navy had pushed the capital ships of the German surface fleet into heavily protected ports for most of the Second World War, but even in their distant refuges these battleships posed a constant threat to North Atlantic convoys. So, strenuous attempts were made to sink ships such as the Tirpitz, and one of the first was Operation ‘Title’ where two British copies of the SLC were towed by a fishing boat to within range of where the Tirpitz was anchored in a Norwegian Fjord. It was realised that the crew on the Human Torpedoes would need a watch capable of functioning for several hours underwater, if they were to be able to make the rendezvous with the fishing boat for their return. The divers would need a waterproof timepiece; but, at this time, the Royal Navy did not have a watch capable of operating in such conditions. The watch would need to function on and below the surface for several hours at a time, and what made the situation worse was that, other than the Panerai, there was no watch available anywhere on the globe with such capabilities. So, in the great British tradition of ‘making do’, they decided to create one. Fortunately there was almost a century’s experience in England of constructing watches able to work in extreme environments; this came from the manufacture of special watches for the Royal Geographical Society, an organization that had sponsored almost all of the great Victorian explorers. 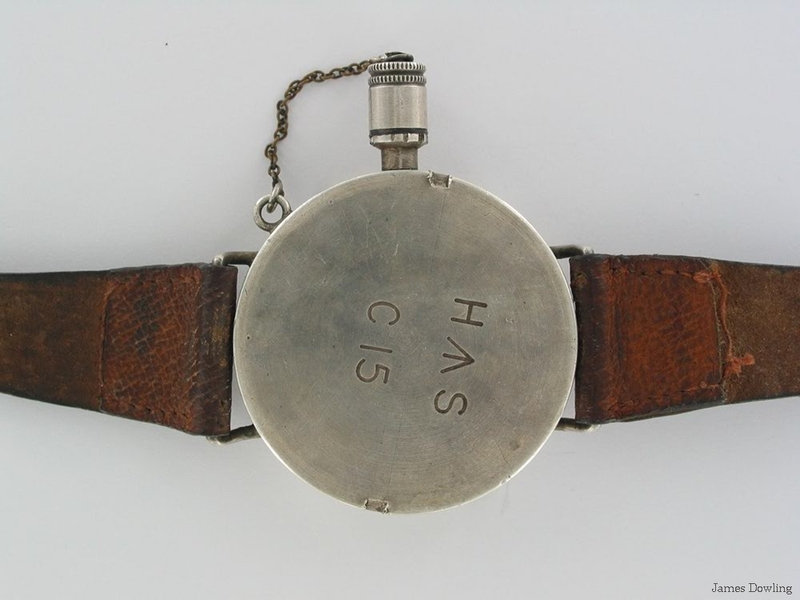 The watches made for the society were pocket watches in specially designed screw back & front cases with the winding crown protected by an additional cap which screwed on to the outside of the case and was attached by a short chain. A.T. Oliver was one of the last of the old breed of casemaker capable of producing the entire case in house, casting, turning and making & fitting hinges and even pendants. The cases constructed for these watches were made individually by hand and fitted together perfectly. 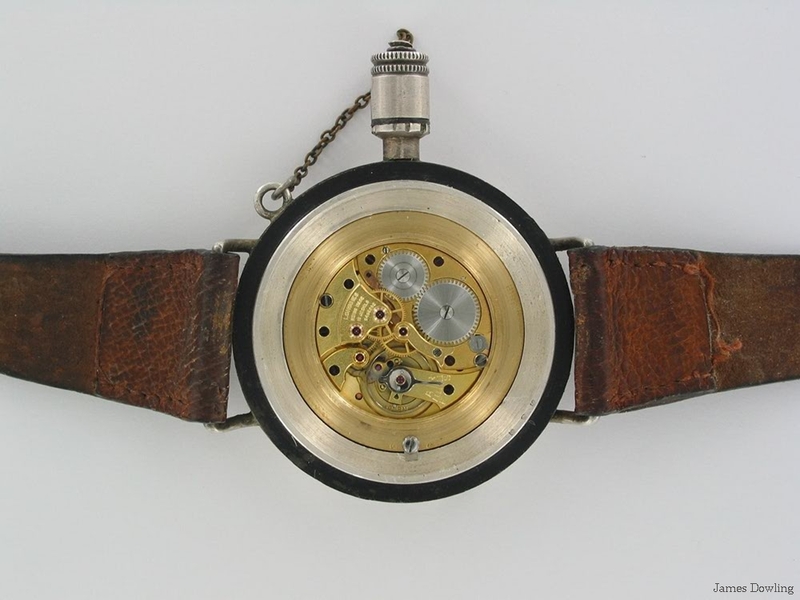 However due the inconsistent tolerances with handwork, the parts were not necessarily interchangeable, meaning that the back from one watch might not fit perfectly on another watch. For this reason, every single part of each case bore the individual serial number of that case, the number on the watch shown is 306 and it is stamped on the case centre, the bezel and back and even on the movement retaining ring & the movement cover. H ^ S stands for “Hydrographic Survey”; the department of the Admiralty responsible for map & chart making; as accurate timekeeping by means of a deck chronometer was an essential part of navigation, it was the Hydrographic Survey who was responsible for procuring and servicing all Royal Navy timepieces. The C15 is the individual number of this particular watch. The cases were made of silver because the metal was easy to work with, Oliver’s had great experience in working with the material and it was resistant to corrosion from seawater. The dial was specially made in brass; it is matt black with large Arabic luminous 12, 3, 6 and 9 numerals and large luminous batons for the remainder of the numerals. The white skeleton hands and the tip of the sweep seconds hand are coated with radium paint for maximum visibility in challenging conditions. To date four of these watches have surfaced, all with serial numbers ranging between 306 and 338; leading me to think that less than 50 of these were made. When you consider the facts that only around two-dozen of the ‘Chariots’ were built and that many of them and their crews were lost in action, it is likely that there are very few of these watches remaining. 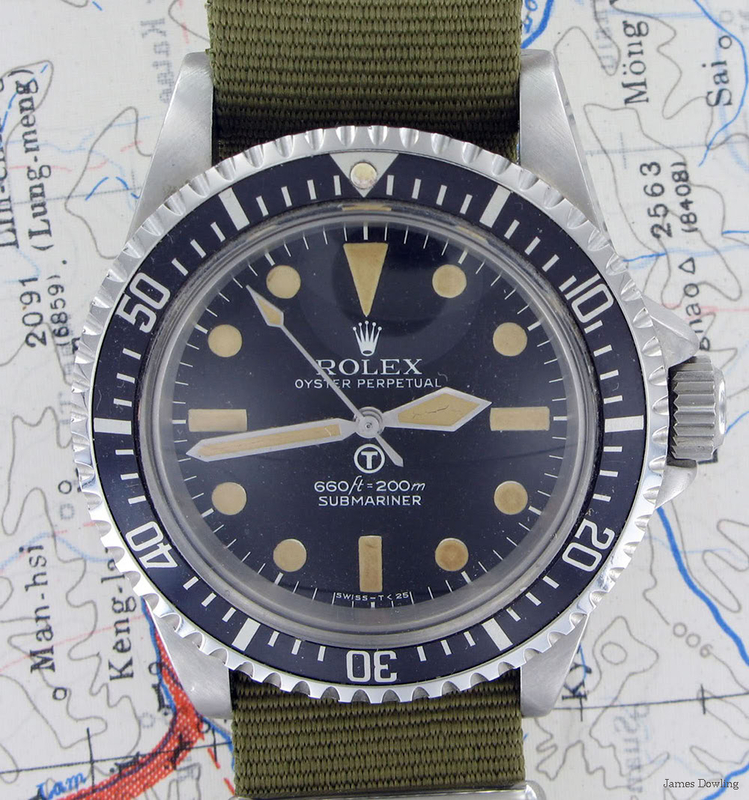 When people use the phrase ‘Military Submariner’, it is assumed that this is shorthand for the reference 5517 Rolex Submariner ordered by the British Ministry of Defence (MoD) and issued to divers of the Royal Navy, the Royal Marines, the Royal Engineers and to British Army helicopter pilots. But the 5517 wasn’t the first Submariner ever issued to these forces, in fact, it wasn’t even the second. The story of the watches that preceded the 5517 is almost unknown and I would like to correct that oversight here. As the first nation (after the Italians) to use divers in offensive operations during WWII, the British continued to use them in both reconnaissance and defensive tasks during the remainder of the conflict. They were used to survey beaches prior to amphibious landings, testing whether they could bear the weight of tanks and other heavy equipment and also for surveying the enemy’s positioning of troops, artillery and other defensive equipment. Others were responsible for locating minefields and either disabling the mines or marking them prior to the amphibious landings. Many of these tasks required accurate timekeeping and the few handmade Longines watches were hardly enough to fulfil the needs of the British forces; and so, once the conflict was over, the Navy sought a watch with which to equip its divers. Rolex had a head start, as their Oyster case was pretty much the only truly waterproof watch available at this time. And when they introduced the Submariner (ref 6204) in 1954, the British forces ordered some for testing. However, by the time the bureaucracy had caught up with the ordering, Rolex already had a better watch, the ref. 6200, already in production. This was a larger watch with a heavier case and a much larger Oyster crown and tube giving it an increased depth capability of 600ft, much greater than any diver had gone at that time. The tests took over 2 years in both the waters around Britain and in the Mediterranean, the watch was tested with the winder screwed down and unscrewed and proved itself waterproof even down to 400ft below the surface. Once again Rolex proved to be quicker than the MoD and the ref. 6200 was no longer in production, it had been replaced by the ref. 6538 fitted with the new 1030 calibre. The 6538 was almost identical to the 6200, apart from the movement; the only change to the case was to a flatter back rather than the ‘bubble back’ seen on the earlier model. 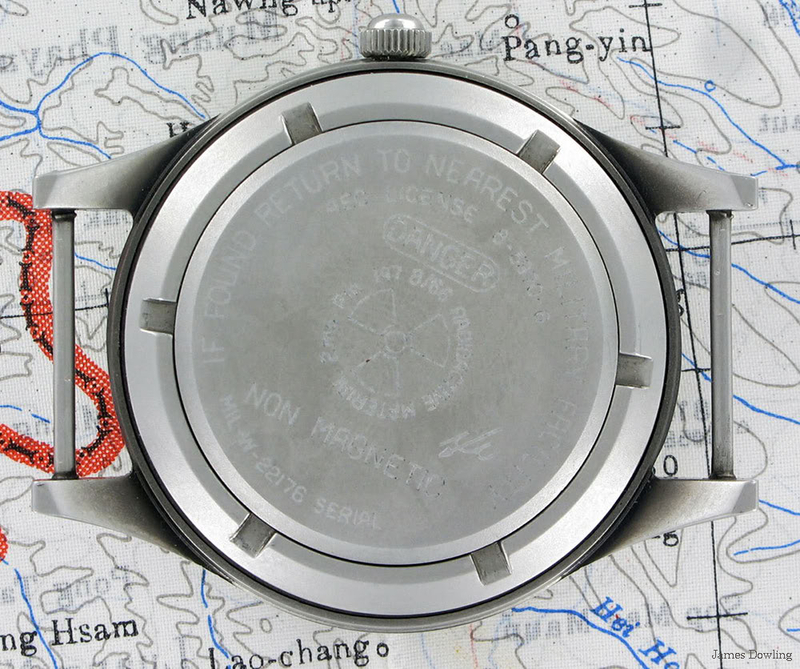 The first 6538 watches had a similar ‘Explorer’ style dial to the 6200, as seen here. After less than two years production the style of dial was changed to the one that is now more familiar with luminous dots and bars, as seen here. When the first series of watches were issued to the divers of the Royal Marines’ Special Boat Squadron (later to become the Special Boat Service), they noted one problem with the watch; it was difficult to rotate the bezel when wearing diving gloves. They also wanted the watch to have solid strap bars; so Rolex decided to make a special model just for the SBS, they initially gave it the unique reference 6540. 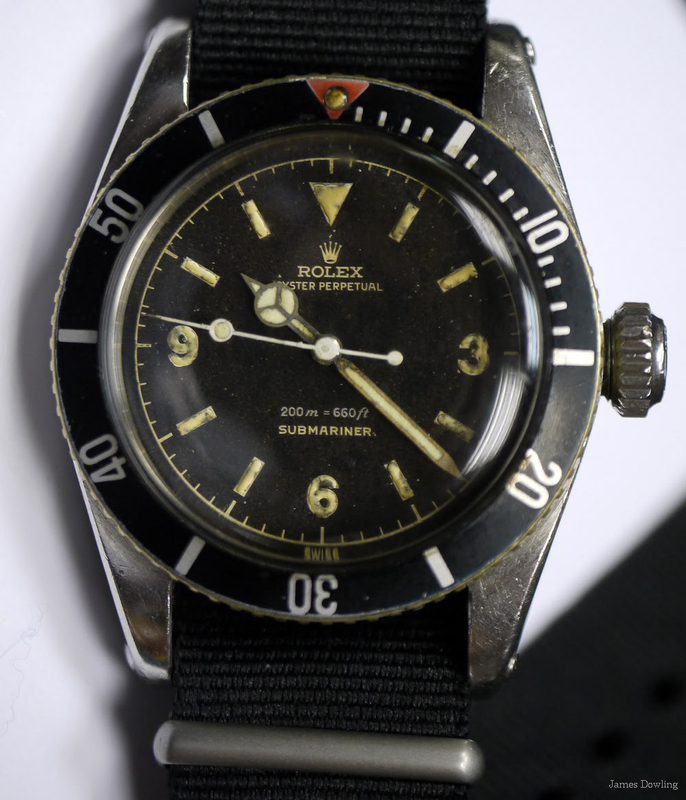 This number would have made sense as the 6541 was the antimagnetic Mk1 Milgauss, the 6542 was the Mk1 GMT- Master and the 6543 was the amagnetic Mk1 Milgauss. 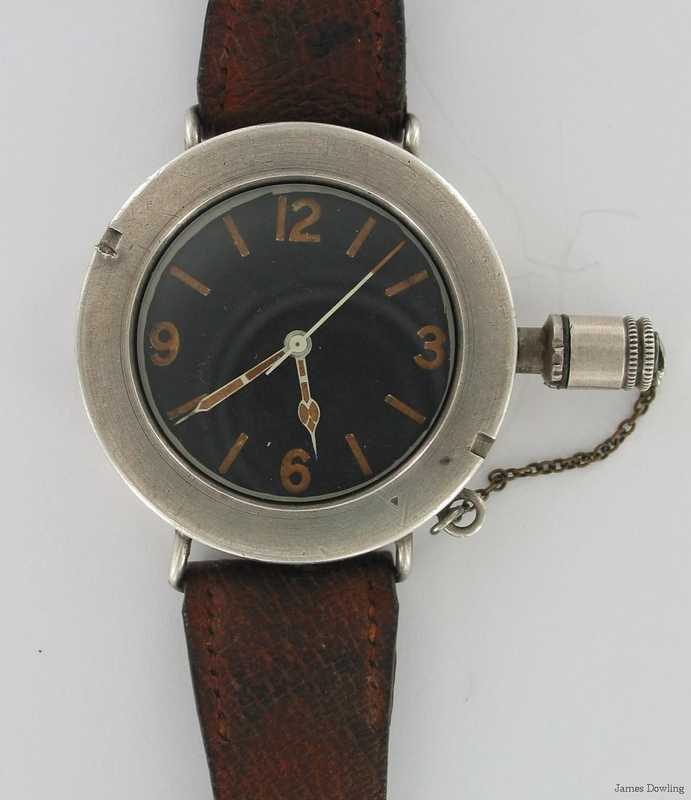 But as the quantity needed was so small, the initial order was for only 21 watches, it was decided to make these watches as a ‘spin-off’ from the 6538 and they were called the A/6538; however this decision came rather late as the case backs had already been made with the original model number stamped inside. So, all the A/6538 watches bear two references, the original 6540 neatly crossed out by three horizontal lines and their new number next to it. Such a small run of watches were obviously all made together, this can be seen as they all bear the manufacturing date of the final quarter of 1957; no closer dating estimate can be made as all the A/6538 watches have one other common feature; in fact, it would be more correct to say that they all LACK a common feature; unlike all other Rolex Oyster watches, the A/6538s are devoid of a serial number. I have handled five of the batch and none of them were numbered or ever showed signs of ever having a number between their lower lugs. I mentioned above that the SBS wanted a more usable bezel design, the one chosen had much more pronounced ridges and extended beyond the perimeter of the case, two design features that made it easier to grip whilst wearing diving gloves. 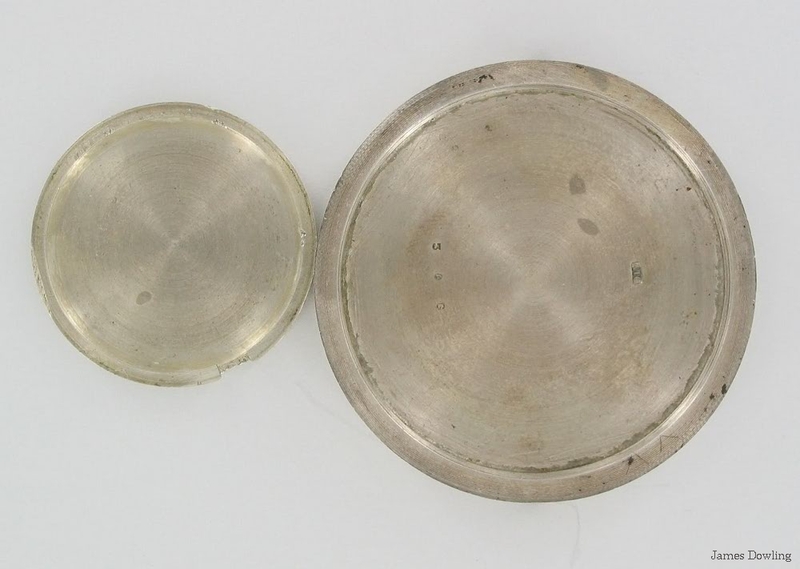 Unlike the normal 6538 bezels, which were made of a brass/zinc alloy which was then rhodium plated, these new bezels were made of German Silver (an alloy of Nickel, Copper & Zinc) the great advantage of the German Silver over the previous alloy was that when struck it tended to dent rather than break. 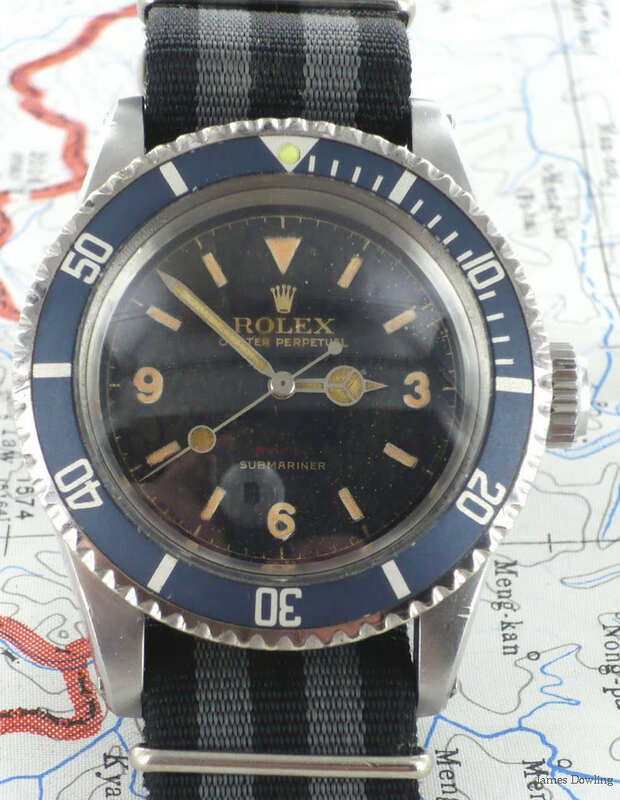 This style of bezel proved to be such a success that it became the prototype for the bezels used on the 5512/3 models which followed soon after the A/6538s and has been used on all subsequent Submariners. 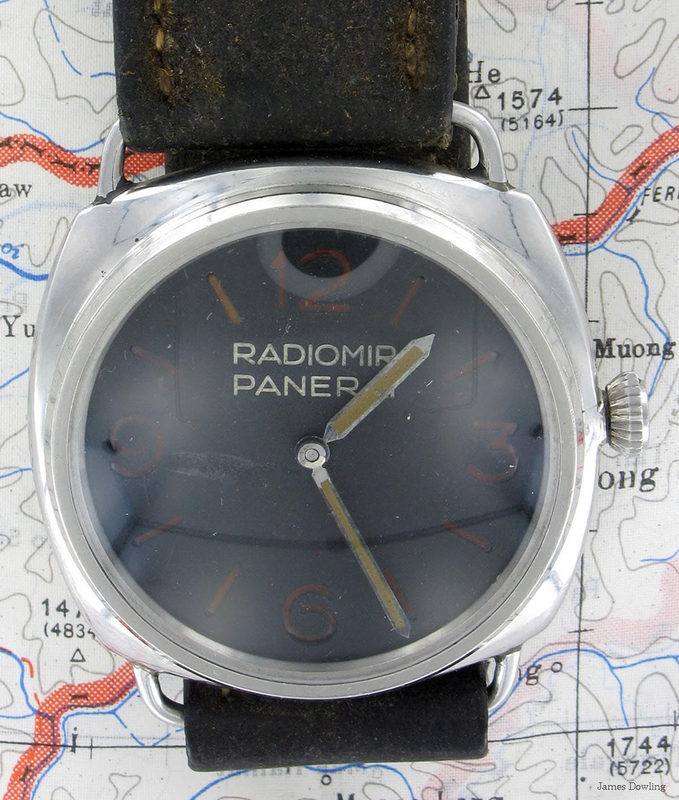 The dials of the A/6538 followed exactly the first dials from the civil 6538, which is they were of the ‘Explorer’ configuration with large 3/6/9 in radium numerals on a glossy black dial. There was one touch that Rolex added, instead of the usual ‘200m=660ft’ printed in silver on the dial, these watches (and these watches alone) bore the legend ‘200/660’ in red above the name ‘Submariner’ and there were no units printed after each number. This was the first time that Rolex had used red print on the dial of a sports watch. Unfortunately this unique dial did not survive for very long, the problem was that it used radium as the exciter for the luminous material, and radium was a problem; both in nuclear submarines (where the users of these watches could be expected to travel) and as a hazardous substance in its own right. 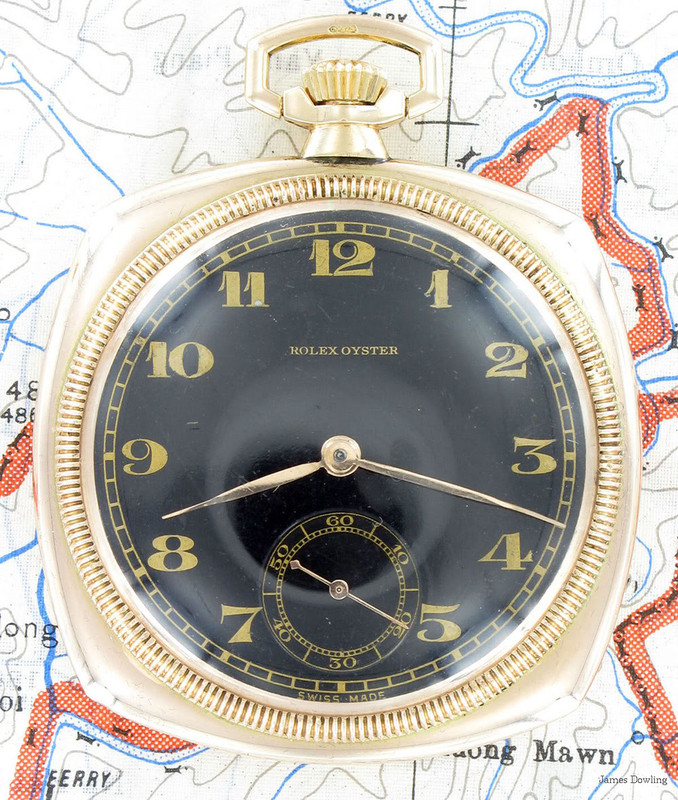 In 1960 the MoD began to withdraw all watches with radium dials; they were sent to a specialist facility where the dial face with its radium contaminated paint was brushed off under running water. The dials were then polished and reprinted by MoD contractors who produced a reasonable facsimile of the original dials, however, these reprints had none of the delicacy and subtlety of the originals. It is easy to see the similarity between them, as the text is identical in both words and placement; apart from the circled letter ‘T’ in the centre of the dial, standing for Tritium, the new exciter for the luminous on the dial. Tritium’s main advantage was that it emitted only beta radiation, which is not only much less dangerous than the gamma radiation from radium but it could be stopped even by a watch crystal. 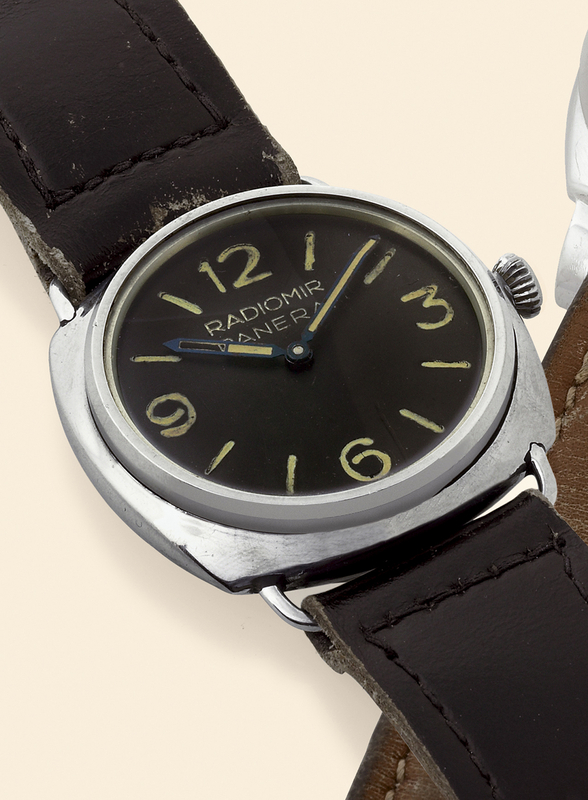 Even the earliest Submariners had their dials refinished by the MoD who were determined that no radium dials would remain in their stocks; the 6538 shown above is extremely unusual in that it was never issued, even though the dial was refinished. Look at the condition of the case and bezel. Prior to the Second World War, the US Navy had no mine protection divers but seeing the problems the British encountered, they sent some naval volunteers to the UK before the US entered the war. In June 1941, these veterans returned to form the first class in what was originally named the Mine Recovery School. Officers and enlisted personnel entered the eleven-week school, qualifying as Mine Recovery Personnel/Second Class Divers. During WWII the school produced hundreds of divers trained in removing mines both at sea and on the beaches. But once WWII was over and the ‘Cold War’ began, the US found itself at a major disadvantage up against the Soviet Union. The Soviets did not have a major fleet during the war, but did develop a very advanced use of naval mines to protect its own shores and also to hamper the movement of the enemy’s vessels. They had a long history of using naval mines; in fact during the Russo-Japanese war of 1904, the only naval success they achieved was the sinking of two Japanese battleships by mines. The Germans had the most advanced mine technology during WWII and many of their technicians and plants found themselves in the Soviet zone after the war ended and soon found themselves in the service of the Soviets. What this meant that the US Navy in the 1960s was up against the World’s most formidable mine technology, and the Soviets had no qualms about passing on this technology to their client states, such as China, North Korea and North Vietnam. To counter this threat the Navy retrained their divers as Explosive Ordnance Disposal Units concentrating on keeping harbours and waterways clear and free for US Navy and allied vessels. But, with the rise in new technology mines, utilising multiple fuses, operated by pressure, time, contact or magnetic influence it was obvious that the Navy needed new equipment and amongst that equipment there was a requirement for a new diver’s watch. The naval specification MIL-W-2217.6A(SHIPS) called for a watch capable of operating at depths of up to 400 ft, with an accuracy of at least 30 seconds a day and also to have absolutely no magnetic signature at all. Under the ‘Buy American Act’ the specification went to all of the major US watch companies; Elgin, Bulova, Hamilton and Waltham. However, as the initial request was for only 1,000 watches, none of them thought that the contract could be fulfilled profitably and that the challenges involved in the construction and testing were too demanding. 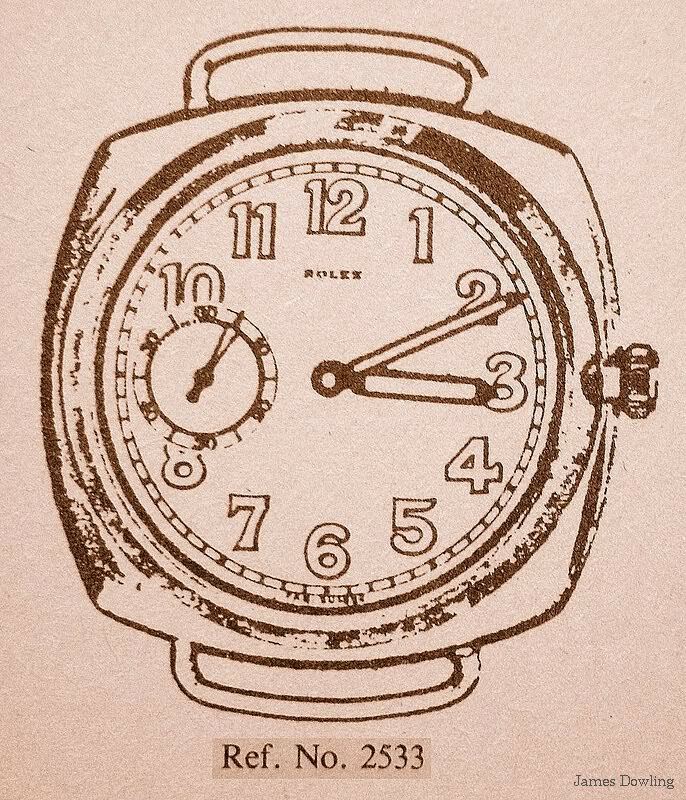 However there was one American company who thought that they had a chance, Allen Tornek was the US importer for the Rayville Watch Company, of Villeret, Switzerland who made watches under the Blancpain name and also watches for department stores and other retail jewellers which did not have their own manufacturing facilities. 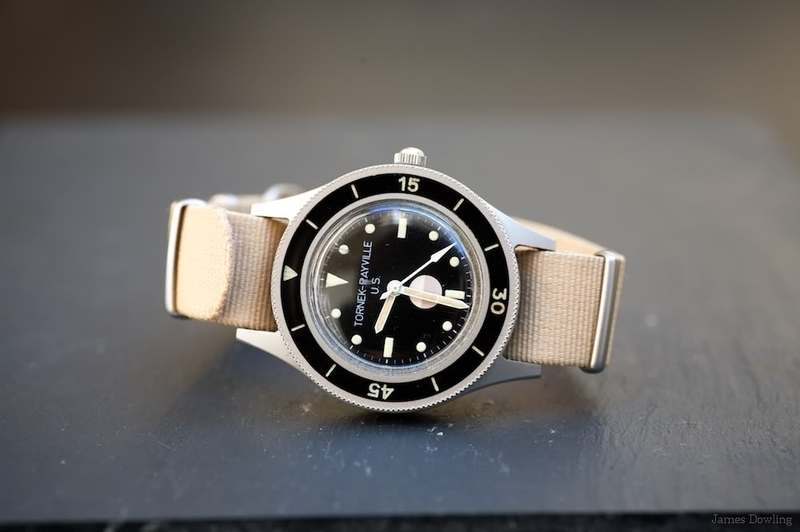 Tornek & Rayville were interested for a couple of reasons; to both of them an order of 1,000 watches was a substantial one and they had a head start over the other companies in that Rayville were already manufacturing a diver’s watch in the Blancpain ‘Fifty Fathoms’. But the requirement to make the watch completely amagnetic (an anti magnetic watch is one where the movement is protected from outside magnetic influences, whilst an amagnetic watch is one that has no parts in it that can be influenced by magnetism) was the major challenge. 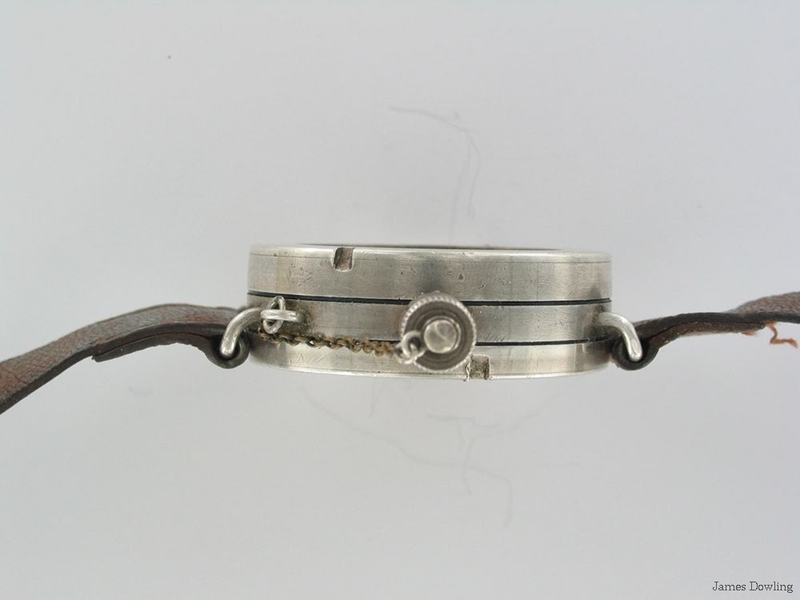 This required that special steel for the case be imported from Sweden; this steel had a completely different composition to the normal stainless steel used for watch cases and the compromise that this entailed was the steel was nowhere near as corrosion resistant. Sourcing the special steel used was a minor problem compared to making the internals of the watch amagnetic, this involved making the escapement from hardened brass rather than steel; the balance spring also could not have been made from steel, but I have not yet been able to discover what material was used in its place. It took almost 2 years from the initial enquiry before the Navy got their first watches, and when they did they went initially to the EODU guys and afterwards to other naval divers. The watch they received was quite different from the Blancpain Fifty Fathoms. Firstly, it did not bear the name ‘Blancpain’ anywhere on the watch, the entire watch case was finished with a grained matt surface making it completely reflection proof and the dial luminous was neither Radium nor Tritium, rather it used Promethium 147. Promethium has several advantages over both the other commonly used isotopes; it emits many more particles than either of them, meaning the luminous indices would glow brighter and longer, both underwater and at night. However the downside to this was that its half-life is only 2.5 years, unlike Tritium, which has a 12.4-year half-life, and Radium whose half-life is measured in centuries. Obviously this short half-life would have been unacceptable in a civilian watch, but the Navy had different requirements. In the early 1970s the very last of the TR-900s were withdrawn from service in the US navy and went off for destruction; their replacement was the Tudor 7928. 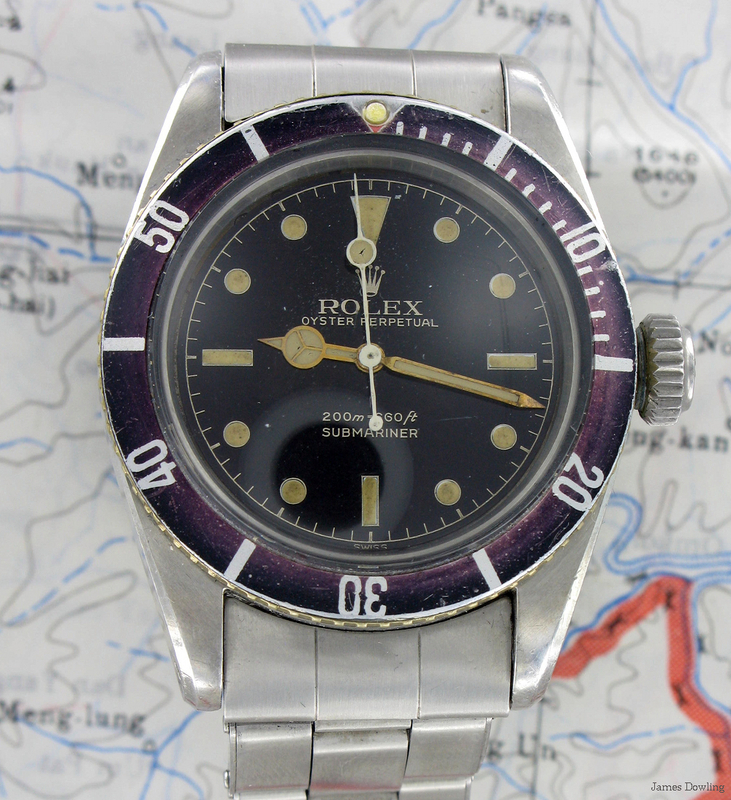 Ironically the 7928 was essentially the Rolex 5513 with an ETA movement and the next watch we are to discuss is the most famous version of the 5513. If you get two Rolex collectors together, one subject certain to raise a heated discussion is which is the more desirable Rolex Submariner; the 5514 COMEX or the 5517 Military Sub? I have to come down on the side of the 5517; it is an almost completely different watch to the 5513 from which it is developed; it has a unique case, a unique dial, unique hands and a bezel style, which has just returned on the new Sea Dweller Deep Sea. By the late 1960s the Rolex 6538s were starting to show their age, but more importantly technology had moved on, there had been advances in waterproofing (enabling watches to go much deeper) and in movement design (giving increased accuracy and consistency). The early Rolex Submariners had been replaced by Omega Seamaster 300 watches (model 165.024) in the 1960s, these watches were delivered to Omega’s UK importer, Goldsmiths & Silversmiths Ltd, complete with the modifications required by the MoD. 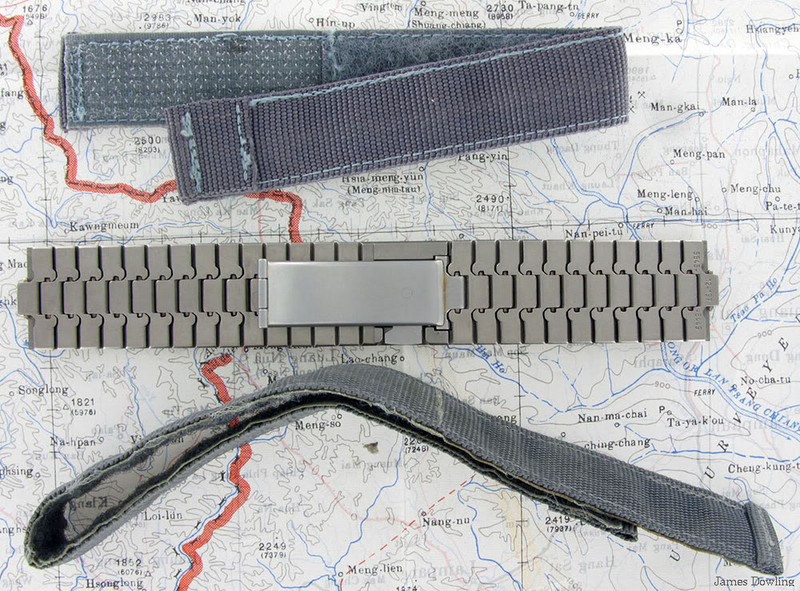 The solid strap bars were brazed into place, a circled T was overprinted on the dial and the NATO stock numbers engraved on the caseback (6645-99-923). The hands fitted at the factory, were now ‘Sword’ style, in place of the standard parallel style ones seen on the civilian versions. The requirement for naval divers had increased greatly since the 1950s and now, the Clearance Divers (responsible for mine & ordnance removal), were joined by Ships’ Divers. These were needed because as Britain withdrew from her Empire, the number of Royal Naval Dockyards decreased significantly, the ports at Singapore, Aden, Calcutta and Malta were either closed or in the process of closing. This meant that ships no longer had access to convenient ports with divers on hand. Therefore the Royal Navy now insisted that each ship in its establishment had trained divers on board, capable of simple underwater engineering tasks as well as the regular ship’s hull inspections. Others were trained as Tactical Anti Submarine (TAS) divers. This rapid expansion of the Navy’s diving capacity meant that equipment had to be standardised throughout the different branches. So the MoD wanted a watch that was built to their own specification, not one that was modified, and so once again they turned to Rolex, they wanted a watch based on the 5513 but featuring many of the features they had found useful on the Omega. First amongst these were the larger hands which gave much greater visibility, it is interesting to note that the design of all three hands was pretty much identical to those used by Omega. Also similar to Omega’s design was the new Rolex bezel insert, which unlike the civil version, had markers for all 60 minutes. But the MoD had learned from some mistakes they had made with the Omegas; firstly these new Rolex Submariners were completely made in the Swiss factory, there were no alterations; refinements or modifications done once the watch had left the factory. Both the solid case bars and the case back engraving were done at the factory to MoD specifications & requirements and the cases were finished in a brushed matt satin effect, rather than the normal polish, meaning that there would be no untoward reflections, which could be dangerous in a combat situation. They were ordered from Rolex in batches of around 300 to 500 but delivered in small batches of 100 to 200 at a time and Rolex were given a list of the issue numbers to be engraved on the case backs. 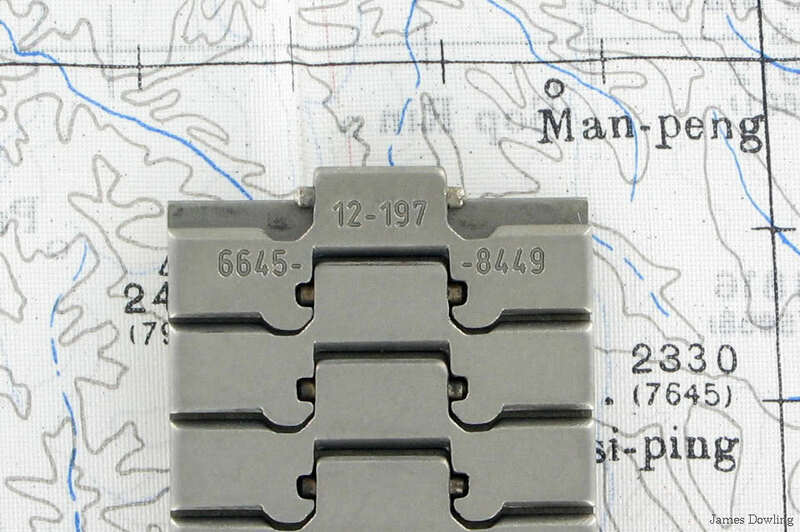 This is why the case number is engraved inside each case back of a Military Submariner, the case backs were sent to an outside contractor for engraving, but to make sure that each back was fitted to the correct case when they returned, the numbers between the lugs and inside the case back were compared & matched. As they were quite different to the normal 5513; they were given a specific reference number, 5517, and they then travelled a very circuitous route before they were strapped on to a diver’s wrist. Although the watches were ordered by the MoD, they did not go directly to the ministry when they arrived in the UK. First they went to Rolex’s UK headquarters at Bexley in Kent, south of London. From there they were sent to Herstmonceux Castle in Sussex, this was the new site of the Royal Greenwich Observatory who had moved there in the 1950s when industrial pollution in the skies over London made their work in the capital difficult. Herstmonceux Castle was the centre of the Navy’s chronometer section; known as the Hydrographic Survey. Here the new Submariners were tested, both for accuracy and for their waterproof abilities; and only when they had proved themselves were they then sent back to Rolex, Bexley with paperwork proving their performance. Once Rolex had this paperwork they sent it off to the MoD along with their invoice and then they were finally paid. Along with the payment, Rolex were sent an annotated list of all the watches. Noted alongside the issue number of each watch was its ultimate destination. And it was the responsibility of Rolex, Bexley to send each watch to the particular naval depot, as you can see in this letter. 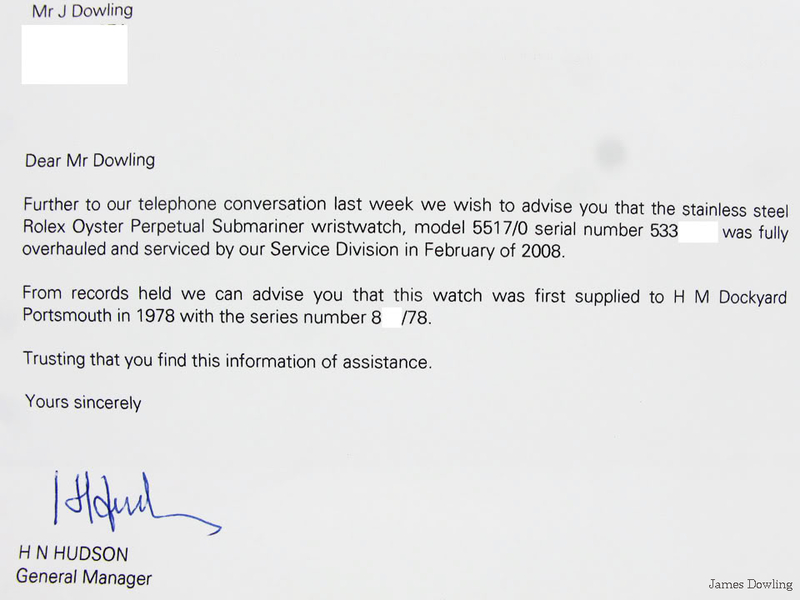 There were three orders from the MoD over a period of eight years, from 1971 to 1979, and it is believed that the total number of watches delivered is around 1,500. The vast majority were delivered to the Royal Navy, to their dockyards in Rosyth, Portsmouth, Devenport and Chatham; but around 100 were delivered to the Royal Engineers of the British Army for use by their divers and an even smaller number went to the helicopter pilots of the British Army; however the strangest 5517s are the small number (only in single digits) of watches supplied to the Imperial Iranian Navy in 1974. Although it is over thirty years since the first military Submariners were issued, many of them are still in service; it was thought that their days were numbered when the Royal Navy’s divers were issued with Sunnto D3 diving computers a few years ago. But as the missions of the Marines and SBS has changed to emphasise more terrestrial and close quarter combat the need for a conventional watch has returned and the Submariners have found a new life. At the end of the 1970s the ‘Cold War’ seemed in danger of becoming hot, the Soviets had invaded Afghanistan and had begun to install SS20 missiles targeting NATO’s European bases, the US was planning on installing Cruise Missiles at bases throughout Europe and the US attempt to rescue the hostages held in Tehran had ended in failure. Both sides in the Cold War knew that if war ever came, it would mostly be fought in Germany, the NATO allies of France, the UK & the US had vast armies stationed there and the armed forces of the federal German Republic (Bundeswehr) were the largest in Western Europe with almost half a million men ready for combat. If the Soviets did attack, one of their first tasks would be to deny the harbours of Western Europe, and particularly Germany, to NATO reinforcements; this would be done with Submarines and with mines. So it became obvious to the German Navy that they would have to increase their mine counter-measure capabilities, they accomplished this by building minesweeping ships and recruiting and training specialist mine clearance divers. To aid them in this task the German Navy trained three different types of divers according to their military task. There are Waffentaucher, (weapons diver) Kampfschwimmer (combat swimmer) and Minentaucher (mine clearance diver). The different tasks are; weapons divers lay mines, combat swimmers are commando/special forces who arrive silently by swimming to shore and then engage the enemy on land and mine divers are the specialists at removing and clearing mines laid by the enemy. These quite different tasks require quite different equipment, right down to the watches they wear, and for this reason there are five different models of the IWC Ocean 2000 Bund watch; for the Waffentaucher the references 3509 or 3529 and for the Kampfschwimers the references 3314 or 3315, but for the purposes of this article I want to concentrate on the most rare and most complex of these, the ref. 3519 AMAG developed especially for the Minentaucher. As the Soviets made the best anti shipping mines in the world, they wished to keep their technology secret, so the mines were fitted with anti-handling devices, designed to explode the mine if any attempt was made to defuse it. These anti handling devices often used magnetic triggering for the mines, this meant that any mine clearance diver had to be equipped entirely with non-magnetic equipment. 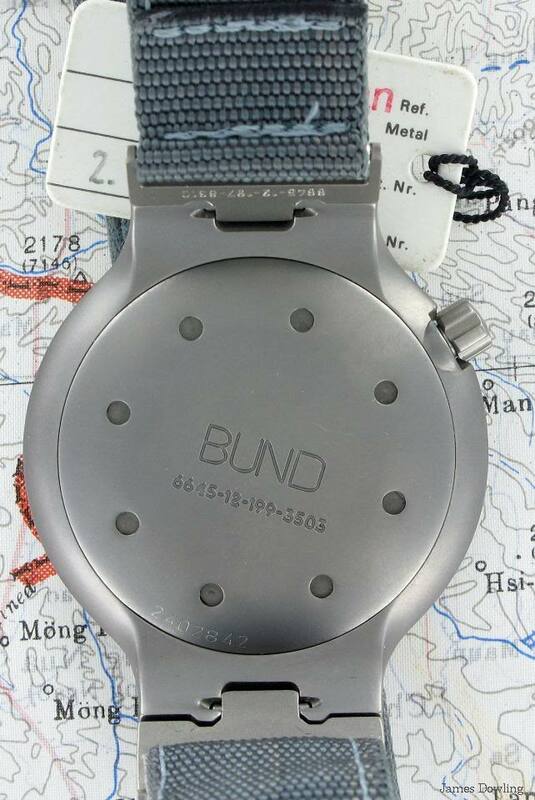 The requirement issued by the Bundeswehr in 1980 for a new divers’ watch was thirty pages long and asked for capabilities never previously seen in a wristwatch, the requirement was sent to all companies with whom the Bundeswehr were currently dealing, NOT to individual watch companies. One of the recipients was a company called Diehl Avionics, this company made and maintained aircraft instruments for the Luftwaffe; they were a subsidiary of the famed German instrument maker VDO. 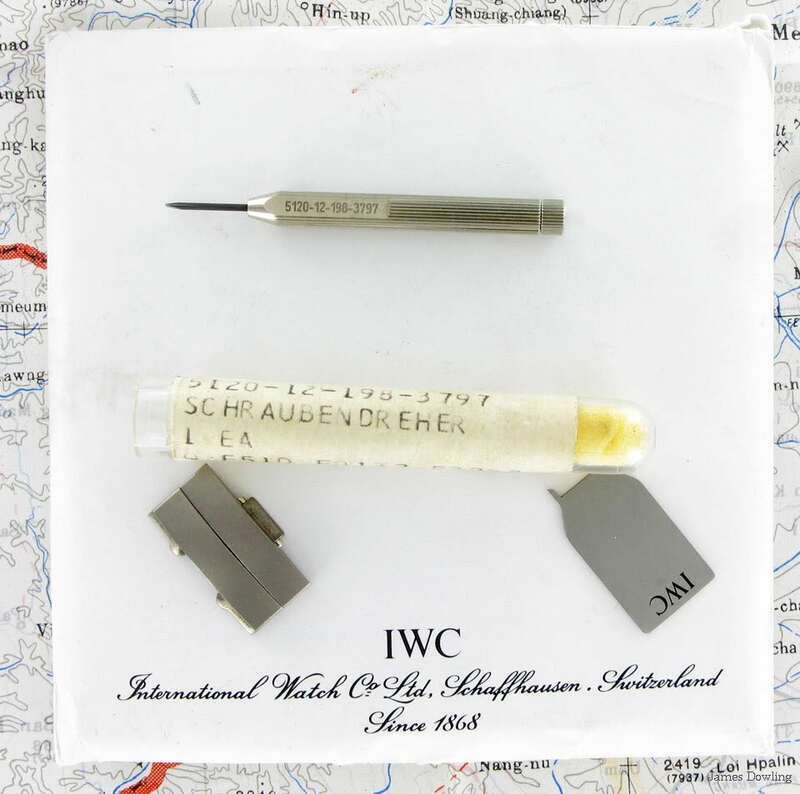 VDO were also, at that time, owners of IWC and their president Günter Blümlein had just joined IWC from Diehl, so the requirement was passed along to IWC. At the same time as the Bundeswehr was looking for a new divers’ watch, IWC were beginning their relationship with Porsche Design with Ferdinand Porsche as the design guru. The first fruit of the relationship was the titanium chronograph with integrated pushers, launched in 1978. 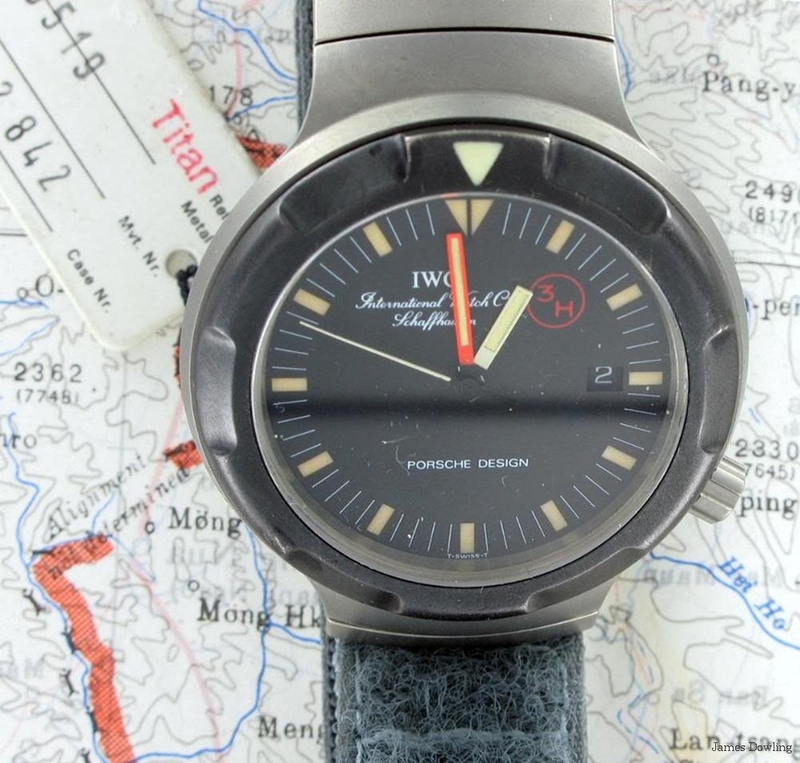 Dr Porsche was designing a divers’ watch for IWC when the Bundeswehr specification landed on his desk, so the military version and the civil one were designed simultaneously. Because they were designed together there are almost no visible differences between the civil & the military versions, only those specifically called for the specifications. This explains the higher visibility materials used on the hands and the different colour of the minute & seconds hand and the darker bezel, which made the luminous triangle marker more prominent. This is also why the crystal on the Bund version is flat and not domed like the civil one, the difference in crystal shapes has led some people to believe that this is why the Bund version is only rated to 300m whilst the civil one can go almost seven times as deep, being rated to 2,000m. This is not true, the bund version can go MUCH deeper than 300m, but that is all the specifications ask for and so that it is the depth it is therefore tested to. IWC’s great advantage was their experience in working with titanium, as a case material as titanium is completely amagnetic. This gave them a head start, but making a movement completely amagnetic is a much harder task, and the technical director of the company, Jürgen King was given the responsibility to produce one. The first thing they did was to remove the steel ball bearings on which the winding rotor revolved; these were replaced by jewelled bearings. The much more difficult components for which to find replacements were those in the balance and the escapement, the balance staff, the pallet fork and the hairspring are almost always made from steel or from ferrous compounds, as this was no longer possible, replacements had to be found. The problem was that these replacements had not only to be as functional as the originals but had to have no deleterious effects on the performance of the watches. The hairspring was replaced by one using a Niobium/Zirconium alloy (the only other use for either of these metals is in constructing nuclear reactors). The steel in the balance staff and the pallet fork was replaced by items made from beryllium metal, which although it is harder than steel it is much more brittle. Because it is harder than steel, this means that the parts of the watch it comes in contact with, will wear much quicker than in a normal watch. So the 3519s must be serviced every year, in fact the German Navy watchmakers at the diving depot in Eckenforde simply remove the movement & replace it with an identical one before sending the original movement off to Schaffhausen for specialist servicing. 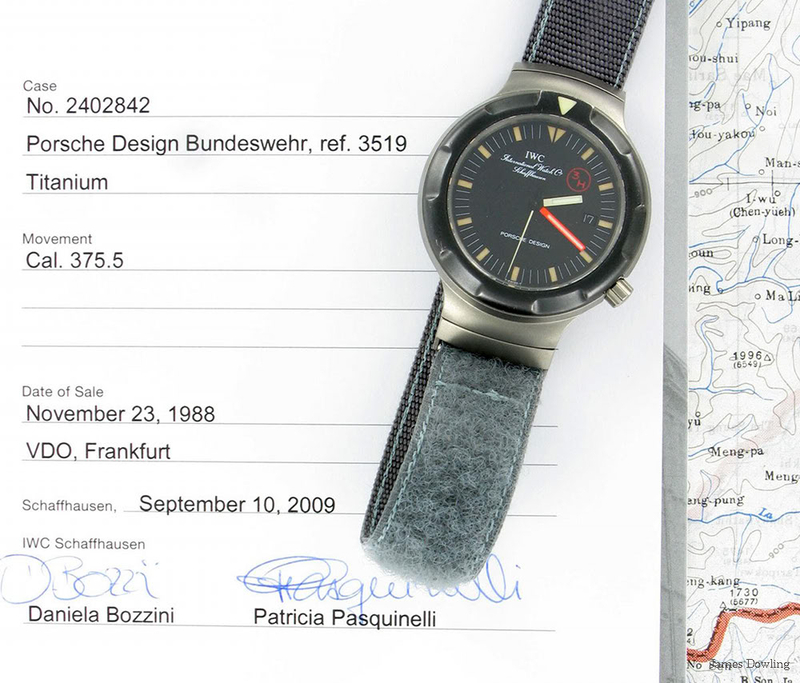 Earlier in this article I mentioned that the watches were tested at Schaffhausen for their depth rating, as this was part of the Bundeswehr specification. This testing had to be done in the presence of a Naval officer, and was done with all of the Ocean 2000 Bund watches. But the 3519 AMAG watches also needed testing for their amagnetic properties, it proved impossible to do this at Schaffhausen, as the presence of so much ferrous metal in the building (probably all the machine tools) affected the magnetic field in the area. So whenever a batch of 3519 AMAGs needed to be tested, Jürgen King & a Naval officer would go to King’s home in the country near Schaffhausen where, in this remote area, they were free from all external influences and the testing could proceed unaffected. The 3519 AMAG is the world’s first (and so far only) completely amagnetic diver’s watch and certainly one of the most rare diver’s watches ever made, in the period between 1984 and 1990 it is believed that less than fifty of the 3519 AMAGs were made and only a handful have ever left the inventory of the Bundeswehr. 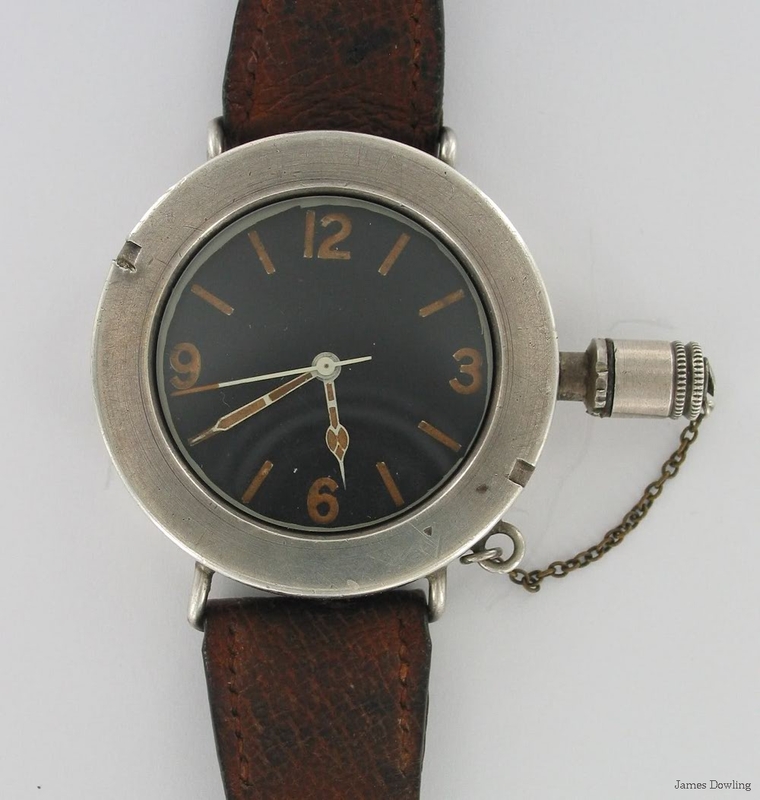 This approximate figure is the best estimate known, as most of these watches are still in service with the German Navy and detailed information is still considered classified by them. Interestingly well over a hundred movements were made for these few watches, this was done due to the fragile nature of the beryllium components in these watches, meaning that movements could be changed over by Navy watchmakers without the whole watch having to go back to Schaffhausen. The watch shown in the accompanying images was never issued and, as such, is an extremely rare example. It seems that the IWC Ocean 2000 Bund was the last divers’ watch specifically designed for military use and, as dive computers become more common, it seems that the era of the specialist military dive watch has finally come to an end. I hope that I have shown in this article how most of what we consider to be iconic diving watches have in their DNA watches originally designed for combat swimmers, perhaps the toughest military personnel in the world, and that in the future you will look upon the diver’s watch on your wrist with a little more respect.